Say thanks in a most delicious way and make a real impact. 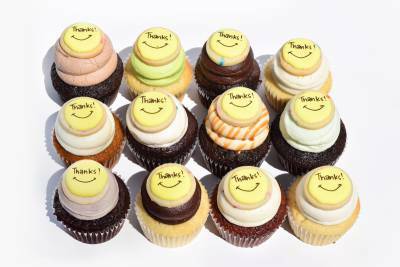 Giving the gift of cupcakes is a great way to show gratitude for a good deed. With these cupcakes we offer two different kinds of thank-you sugar cookies included with the thanks cupcakes gift. Together these locally delivered treats make your gift really sweet. 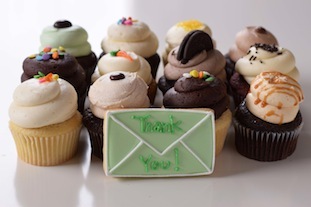 Send a gift of gratitude with a thank-you gift of cupcakes today!